In the eye of storm at the start of the year due to his loose talk on a chat show, Hardik was provisionally suspended by the BCCI and the matter is still pending before the Ombudsman even though he is likely to get a clean chit. 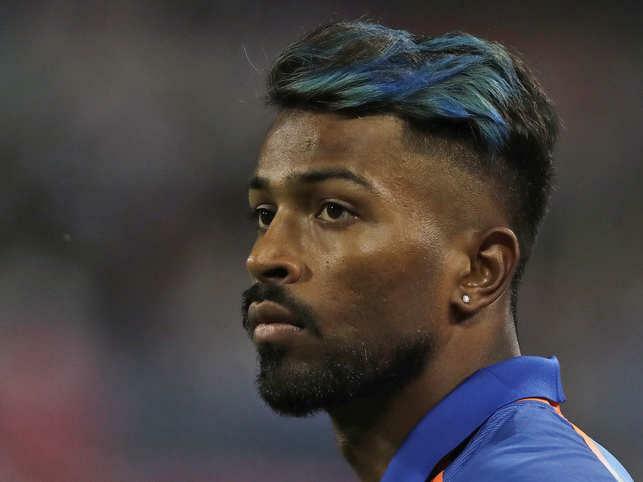 However since his comeback in New Zealand, Pandya has shown more focus on the field and has been in tremendous form with the bat in the ongoing IPL as finisher for Mumbai Indians with 186 runs at a strike-rate of 191 plus. "It's okay, everyone has a setback and for me, I got some time for my body (working on fitness routines) as well. The time I was out is helping me right now because I am in a good mindset and everything is coming right," Hardik said after powering MI to victory with 37 off 16 balls against Royal Challengers Bangalore. Insisting his troublesome back was holding up well, Hardik was happy to be striking the ball well after his return to cricket through the IPL. "The back is good, touchwood," the flamboyant all-rounder said. He has been MI's designated finisher, a role that he relishes. "I have been doing that for the last four years now. That's my role in any team I play for. I have been practising at the nets the same thing. It is about the situation. You play according to situation and if you are smart enough, you will more often get the result you desire." He is expected to play a major role in this year's World Cup campaign and IPL seems to be providing a good preparation for him. "It is pretty important to always have the confidence behind you. The World Cup is a big stage. It is for the first time that I will be playing (a World Cup). It is important for me to keep hitting the ball well. I was away from the game for some time, so coming back it was important for me to hit well", he said Looking ahead to the World Cup in England, Hardik said if the conditions were similar to those durig the 2017 ICC Champions Trophy, India will have the advantage. "We have to see the conditions because the last time we went, a lot of people told me that it will be swinging, it will be nice and cold but eventually, I have never played on such a flat wickets before. "It will depend on the situation and the conditions. If it's the same conditions that we encountered in the Champions Trophy, it will be a help for us", he declared. He insisted that he will always focus on the basics, irrespective of the event. "Cricket will always be the same. Be it the World Cup or IPL, the pressure will be same. I will follow my basics. That's what has got success for me and I will keep backing myself that way."